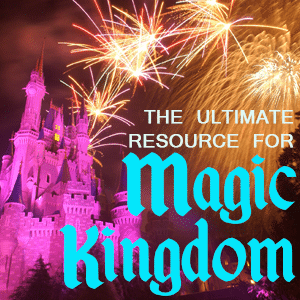 Magic Kingdom - the heart of the Walt Disney World resort - has so many attractions. 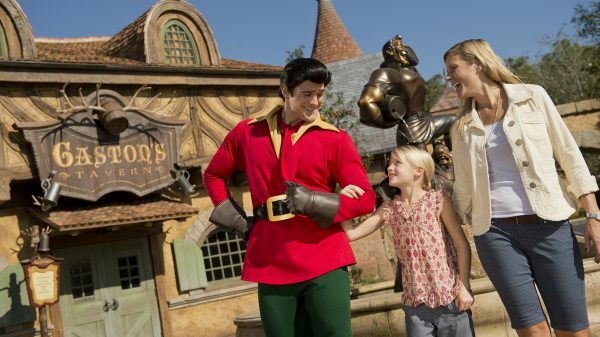 I often suggest that people begin and end their trips with a visit to Magic Kingdom because it just feels the most Disney-like so it's a great way to kick off and wrap up a trip. Magic Kingdom has a hub-and-spoke layout with Cinderella's Castle being the hub and all of the lands as the spokes that branch out from there. Due to the number of attractions here, I usually recommend that people try to spend 2 days if they can. An 8 1/2 minute gentle boat ride through a Caribbean city of pirates. 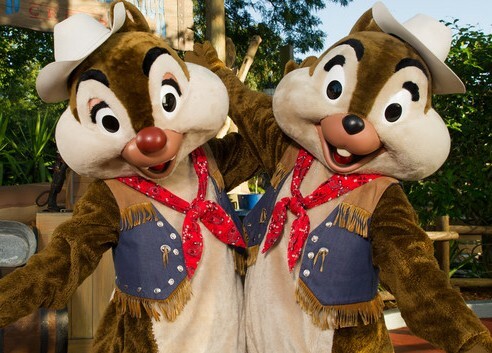 This attraction has over 125 animatronics, including 3 Jack Sparrows so be on the lookout for those. Jungle Cruise is a river raft ride where animatronic animals and corny jokes abound. Every Jungle Cruise Skipper has their own "routine" with jokes so every ride is a little bit different. Little ones who are easily scared should maybe be told ahead of time that the animals are all pretend. Tips: Ride at night for a unique experience and when the lines are shorter. This is essentially Dumbo but with carpets. 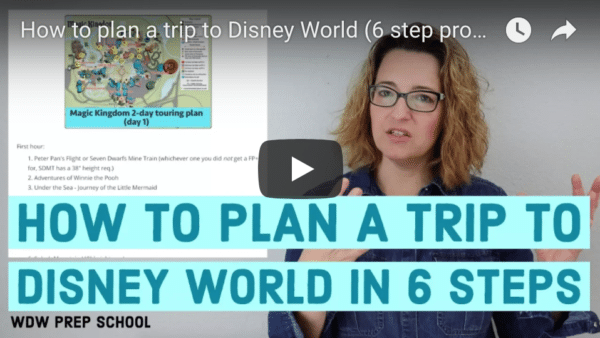 If you need to pare down your list of rides to fit them all in, this is definitely one that could be taken off. 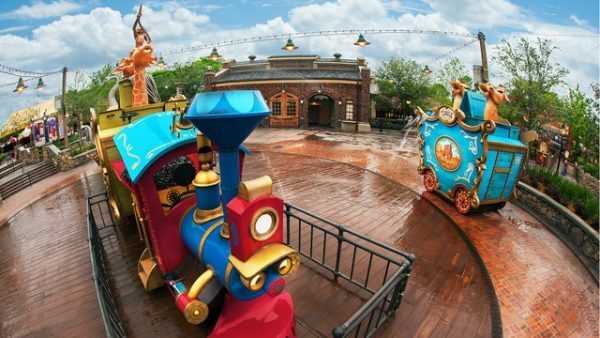 If you happen to have little ones who like the Dumbo-like rides, this will be fun for them. 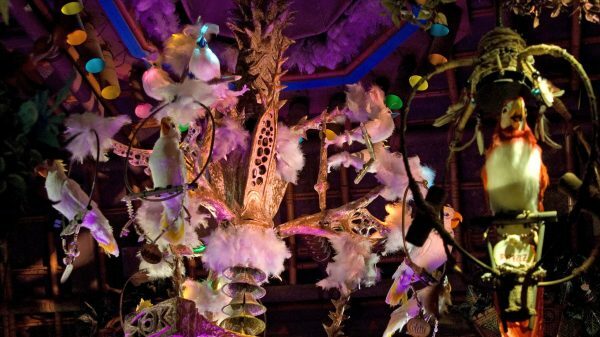 A show featuring over 300 animatronic birds, flowers and other things that perform various songs, including some Disney tunes. Essentially a big playground that allows kids to burn off some energy. 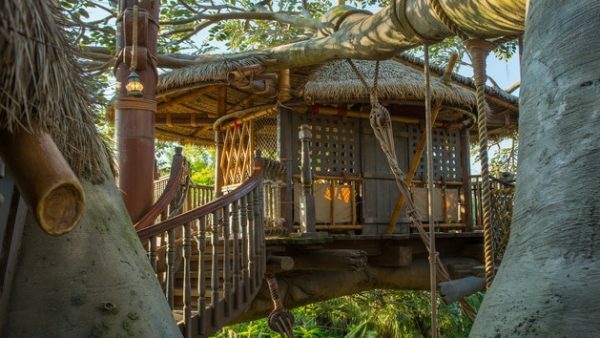 It's themed after the Swiss Family Robinson movie and involves climbing through various rooms and stairs. Board ride vehicles that are suspended from the top, and glide over charming scenery in the dark. Although the ride takes place mostly in the dark, it doesn't typically scare little ones. 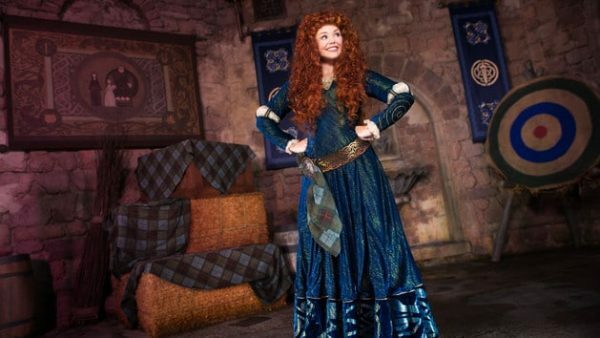 One of the most unique and newest attractions at Disney World, this attraction includes entering Maurice's cottage and seeing characters from "Beauty and the Beast" come to life. The technology here is amazing (watch the video below to see what I mean). Tips: Great to visit in the afternoon to get out of the heat. An easy coaster with the intensity of Big Thunder Mountain Railroad, obviously done with Snow White and the Seven Dwarfs theme. 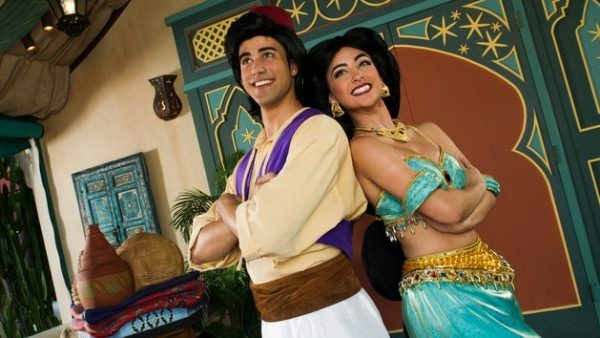 Tips: Either get a FastPass+ to ride or head to this ride right when the park opens. 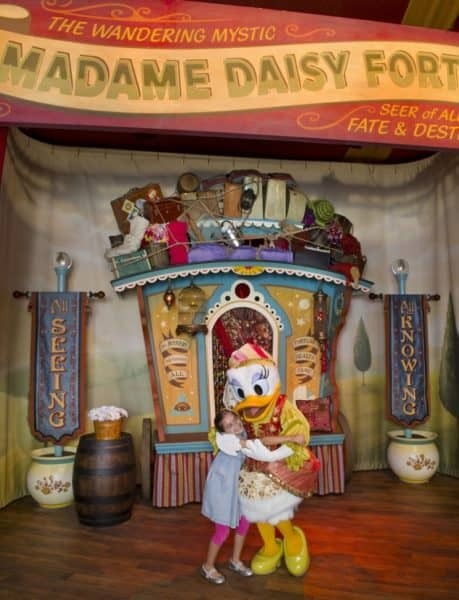 A gentle boat ride takes you through scenery that includes animatronic dolls set in different countries. Try not to get the song stuck in your head! 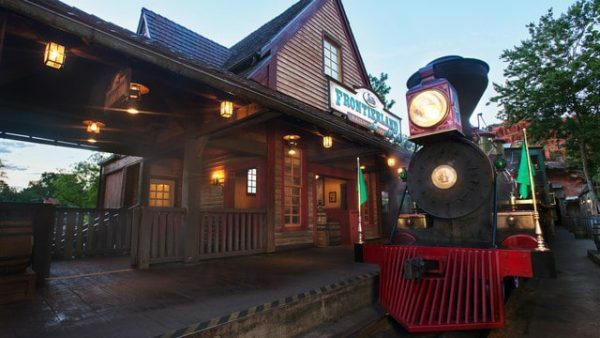 Tips: Pinnochio Village Haus is a Quick Service restaurant with a view of this ride. Look up and wave at diners right after you board! 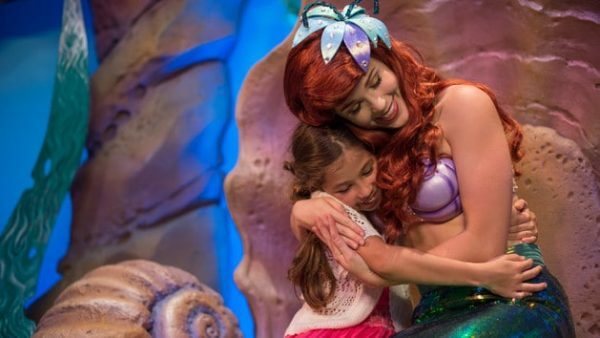 Board a clamshell to take a ride through Ariel's life on this 7-minute ride full of color and music. Although Ursula can be really scary for little ones, she appears fairly briefly at the end and isn't nearly as scary as she is during the show at Hollywood Studios. 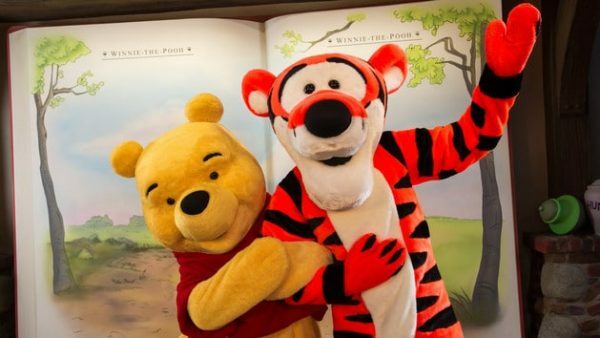 Board a Hunny Pot and go on a psychedelic adventure through Hundred Acre Woods. This is a popular ride and one that most little ones will like. 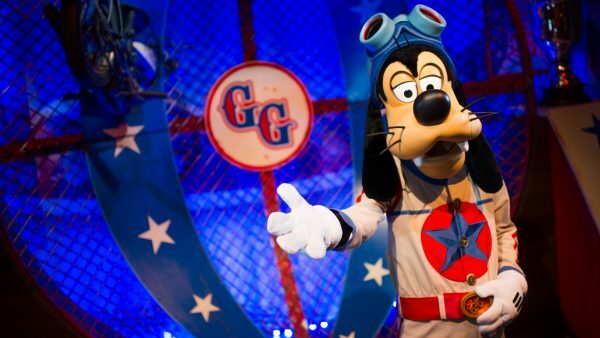 A 1 1/2 minute (seriously) roller coaster for kids featuring Goofy. Although this is a coaster designed for kids, some little ones will still find it to be too intense. Often called "the tea cups," this ride is fairly iconic in Disney theme parks. 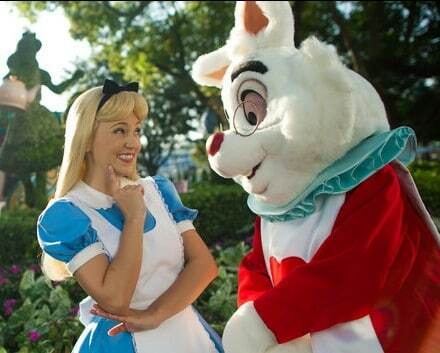 Characters from Alice in Wonderland meet near here throughout the day. Board an elephant and soar through the air. There's also a fun play area to visit while waiting. Tips: Although you can get FastPass for this, the indoor play area is only available to those who wait in the regular line. 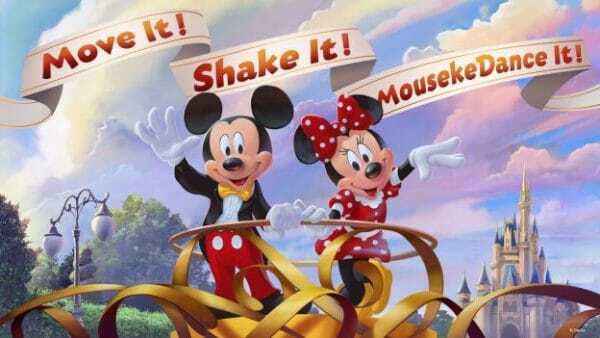 A 3D movie featuring the music from various Disney movies. Anybody at any age will enjoy this 11-minute show, but if the 3D effects get to be too much for little ones, removing the 3D glasses usually helps. 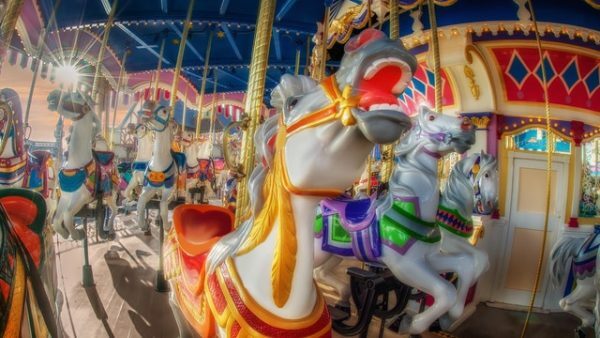 Fairly standard carousel but with Disney music and 90 pretty horses. Outdoor play area that has "soak" in the name for a reason. It is sometimes closed but can be a fun way to cool down on a hot day. Meeting at Pete's Silly Sideshow as Wonder-Pup Pluto and Madame Daisy Fortuna. A great intro coaster for people who are working up the nerve to do bigger coasters. The theming is Old West style and there are lots of mountains and caverns to make your way through. There are no big drops like on scarier coasters but there are some fun dips that can lift you out of your seat. What starts as a gentle boat ride through cheery scenery ends in a steep drop and a splash. Throughout the 11 minute ride, you will encounter 3 lifts and 5 drops (most of them are mild except for the 1 big one). 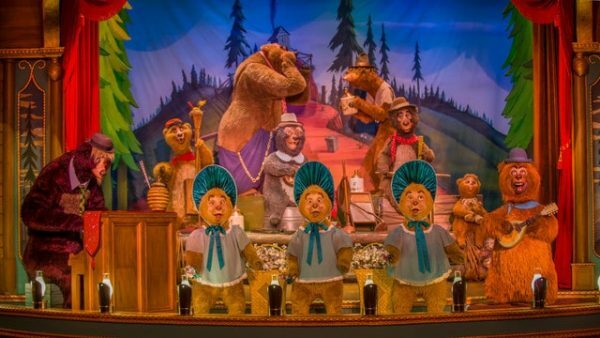 Like outdated animatronics that sing corny music? This is a fantastic show for you. 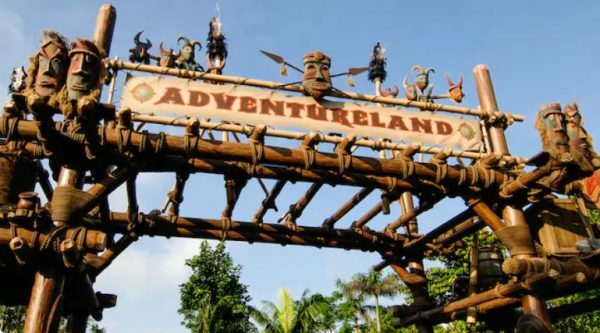 OK, it's an easy attraction to get into and many little kids will probably have fun with it but it's definitely outdated and not a high priority. A giant island that is basically a playground to explore. You board a raft near Big Thunder Mountain which takes you over to where you can venture around the island. FYI: there used to be hidden paintbrushes placed here and people who found them could redeem them for FastPasses. That is no longer the case. A tour of various ghost-filled rooms of a mansion. On your way to board your ride vehicle, you'll first go through an octagon-shaped room that appears to stretch. 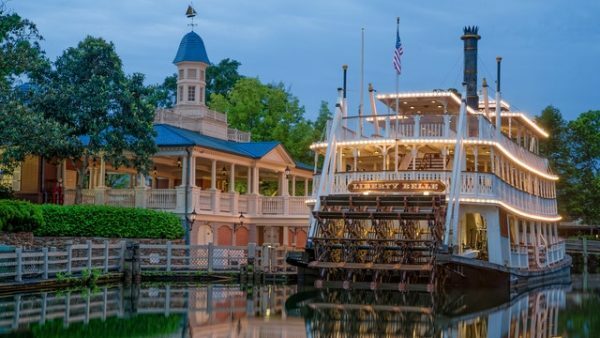 This 17-minute cruise on a steam-powered boat takes you on a 1/2 mile tour around Tom Sawyer Island. 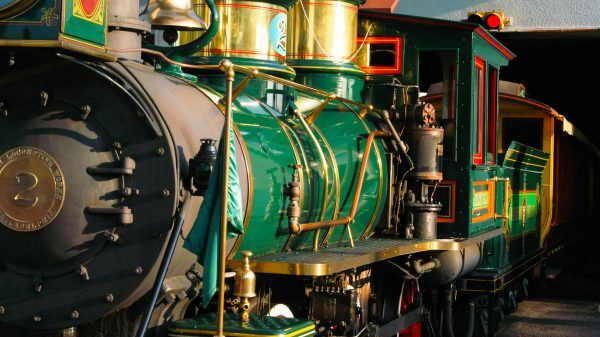 Tips: Mostly standing room only, find a spot on the top deck to snap some good pics of nearby attractions. 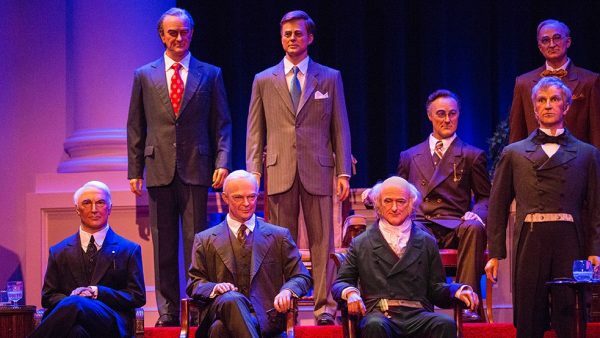 This theater (modeled after Independence Hall in Philadelphia) is home to 43 patriotic animatronics modeled after the past and sitting Presidents of the United States. 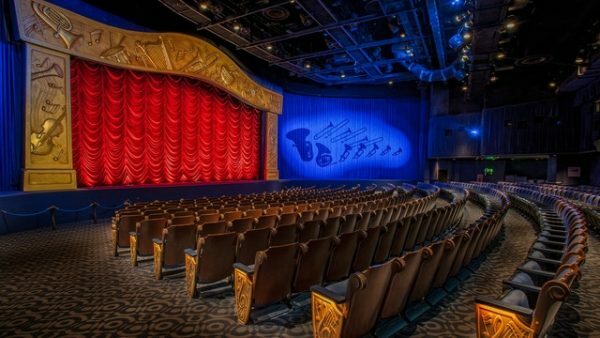 Tips: The theater is large and is rarely full, making it a great place to escape the weather. 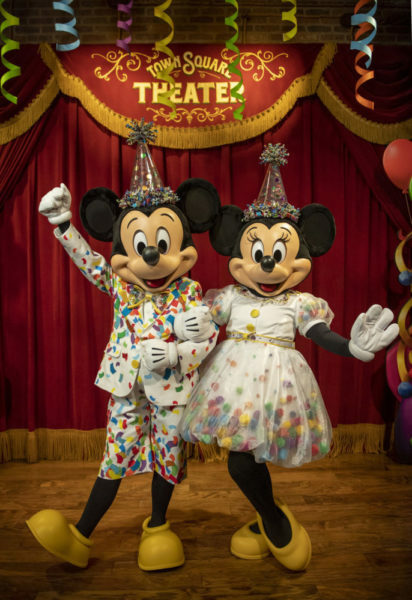 As part of Mickey and Minnie's Surprise Celebration, this surprise character meet will take place daily at the flagpole in Town Square. 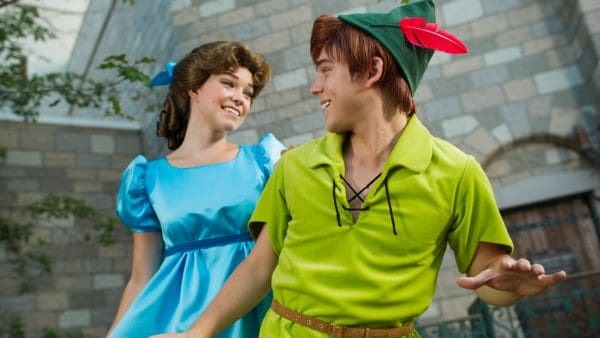 Check MDE daily to see which characters are meeting that day. Although this ride looks similar to Dumbo, it's much higher and faster. Tips: At night, you get a fantastic view . Most kids seem to love boarding these gas-powered cars and driving them around the track at the super fast speed of 7.5 mph. There are far better rides than this one but the track is so big that kids are often very drawn to it and want to ride. Because of the lines that build throughout the day, this is a good one to ride at the very beginning of 1 of your Magic Kingdom days. An indoor roller coaster that takes place in the dark. The ride doesn't go upside down but has lots and lots of drops and quick turns. This is a ride and game in one. 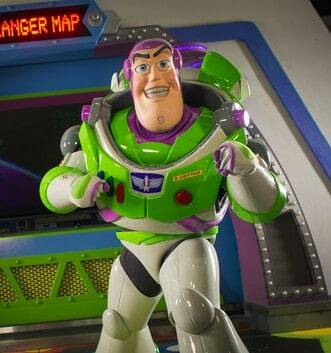 You board ride vehicles and then aim at the Zs and earn points which appear on the screens in your ride vehicle. 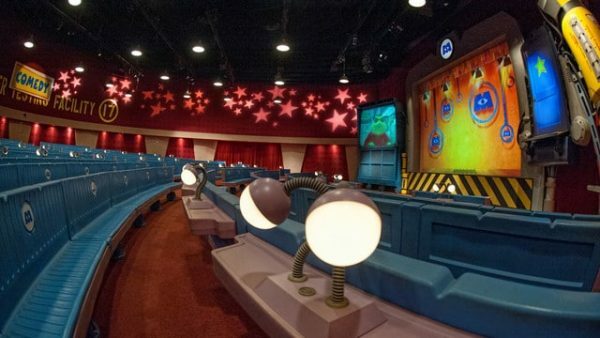 A comedy show using interactive animation where characters from Monsters, Inc., tell jokes and interact with the audience. 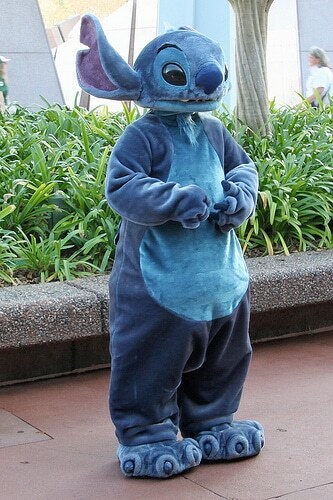 A multi-sensory performance wherein Stitch burps on you. This 20 minute attraction is a rotating carousel theater that takes you through decades to show how technology has changed over the years. A 10 minute long laid back tour of Tomorrowland. 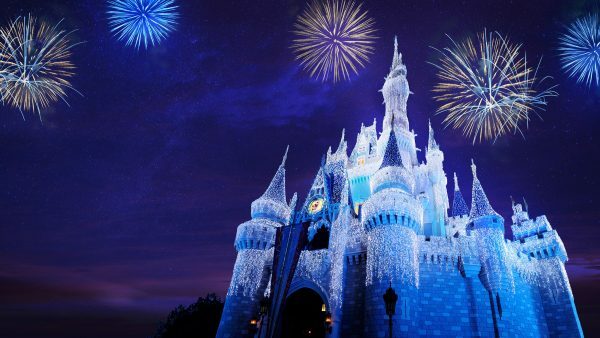 A nighttime fireworks show that involves both fireworks over Cinderella Castle as well as extensive use of projections and lighting effects. 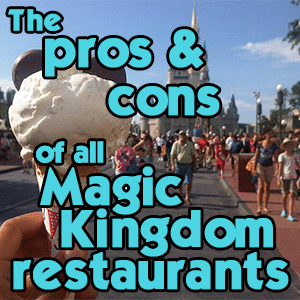 We have 2 dining guides below - 1 for dining inside Magic Kingdom and the other for dining at Magic Kingdom-area resorts. 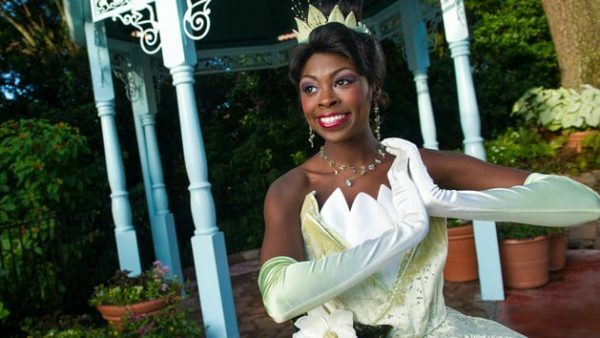 There are several good Quick Service options and character Table Service meals available in Magic Kingdom. 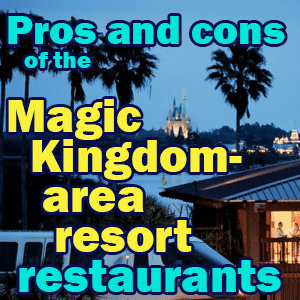 There are several great resorts near Magic Kingdom and visiting them and dining at 1 of the restaurants makes for a great way to end a Magic Kingdom day.